This week we shared the different ways in which we talk to our children about our breast cancer. 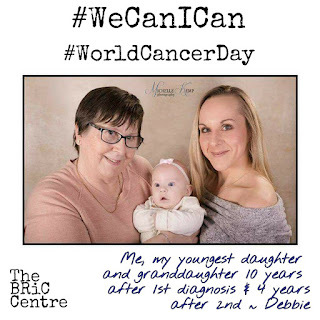 Whether our child is a toddler, young, in their teens or grown-up, we reflected that telling our child or children we had breast cancer was perhaps the hardest thing we have ever had to do. 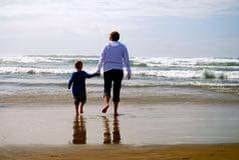 There is guidance a-plenty, both scientific and anecdotal, but at the end of the day each of us makes our own agonising choices about how much - or how little - to tell our children, and how much - or little - to involve them in our treatment. 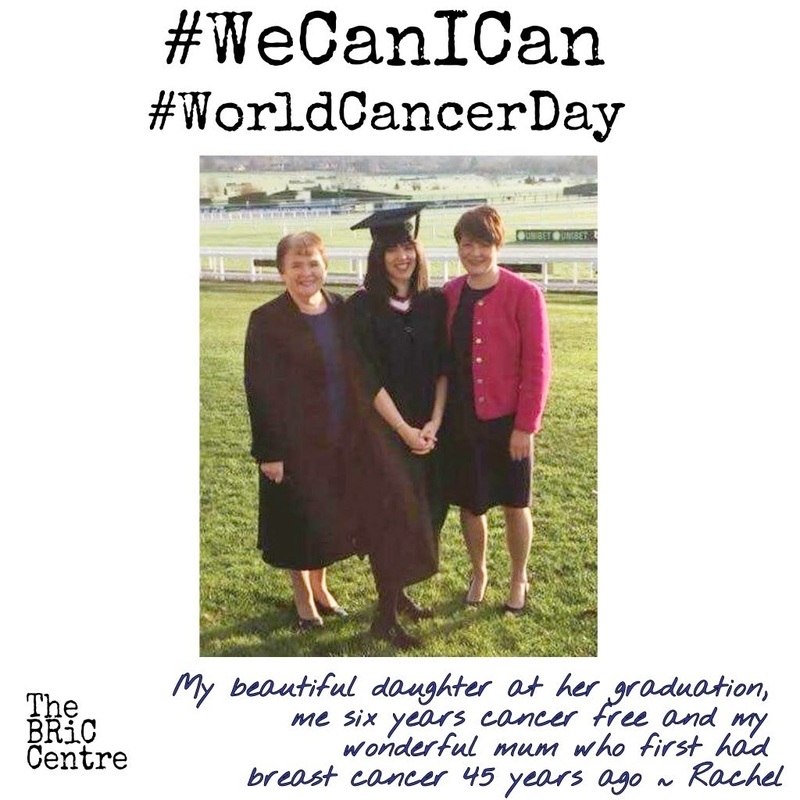 It was clear that deciding what, when and how to talk to our beloved children about breast cancer felt like an enormous task. 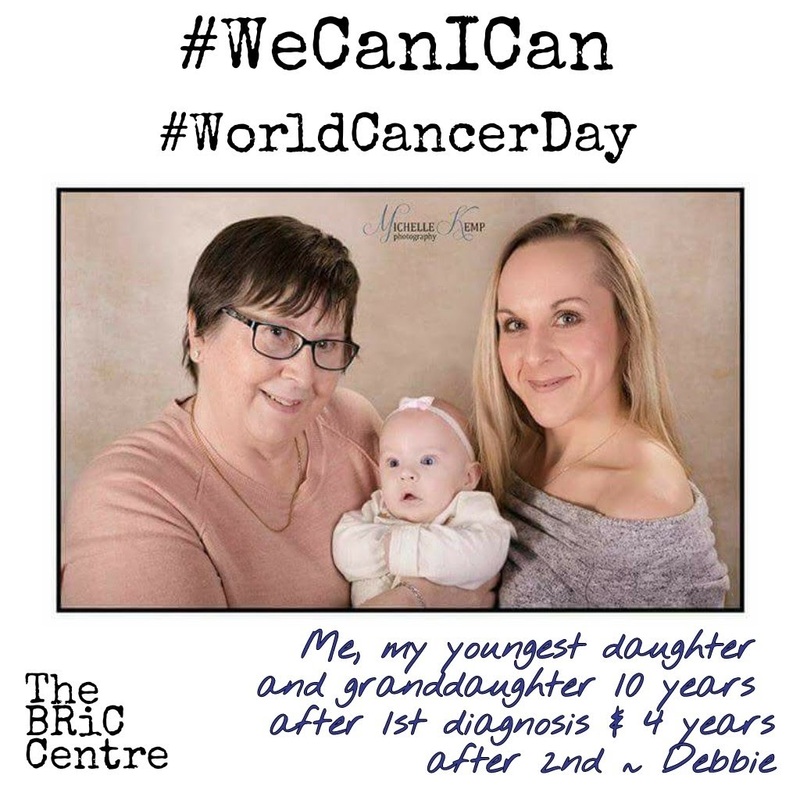 Whatever our diagnosis, we had in common our desire to try to do the best for our children. 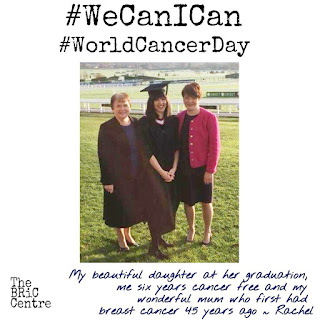 Above all, we want to protect them from the fear and uncertainty that cancer has ushered into their lives. If we can, we want to retain as much normality as possible within family life. 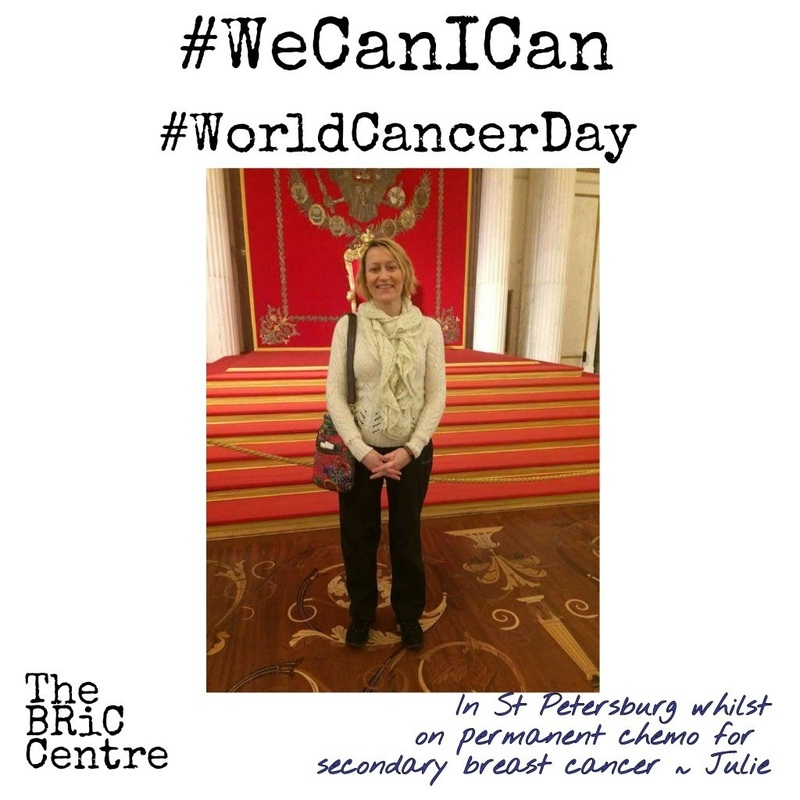 Mothers with secondary breast cancer face the added challenge of how much to share about the nature of secondary breast cancer, which can be treated and managed, sometimes for many years, but which can’t be cured and which generally involves ongoing treatment throughout their lifetime. All while dealing with shock, fear and in many instances anticipatory loss. Making memories and sharing as much joyful time as possible becomes of paramount importance. What we decide to tell our children depends on their age, personality as well as our own values, beliefs and family dynamics. Many women choose to tell their children as much as possible, believing that complete openness and honesty is the healthiest way to help them cope. 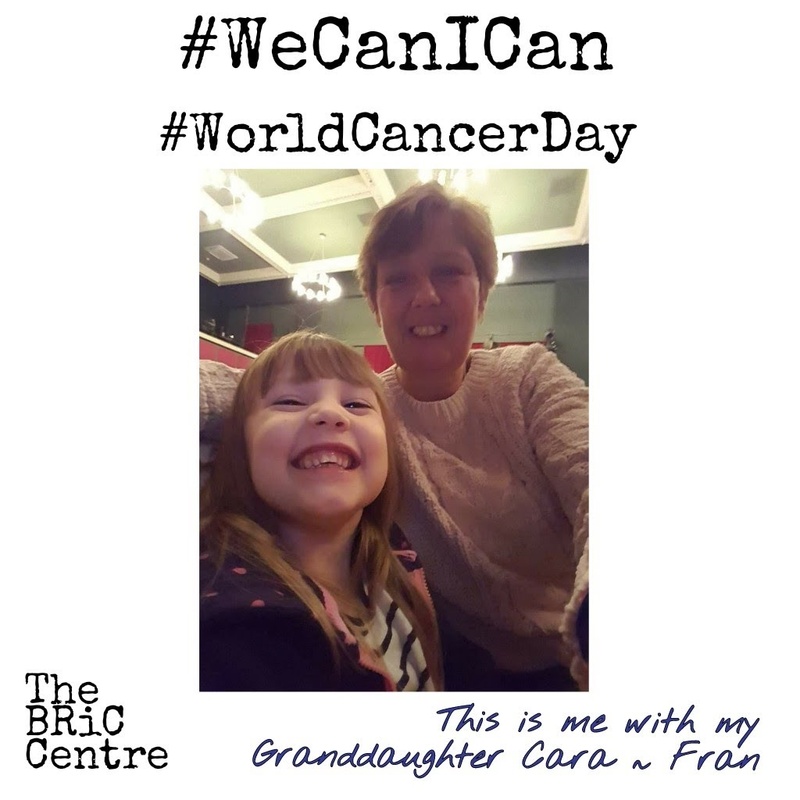 Some had actively involved their children in their treatment, taking them to appointments to talk to the oncologist and to be a part of treatment. Some of us talked about the devastating impact of our own experiences as children, when illness and death was less talked about, and how we had lost our parents without any adults explaining what was happening. These early experiences shaped the way we approached telling our own children, bringing back painful memories as well as the chance to correct the past. We learned that we can over or underestimate our children and we may be surprised at how they react. 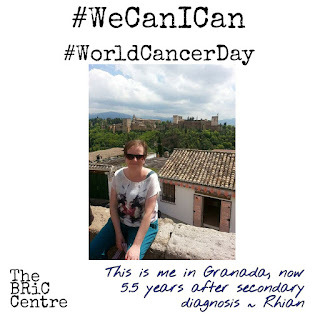 Some of us shared that our children had dealt with our diagnosis well, becoming involved in treatment. 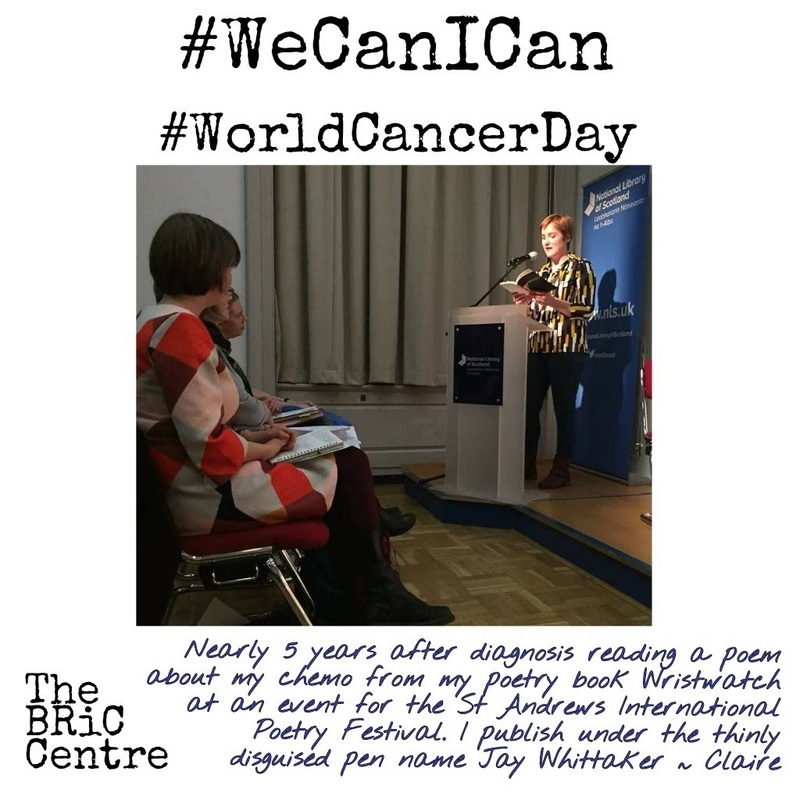 Others shared alarm and distress at witnessing their children's reactions - including distress, withdrawal or angry outbursts - as they try to grapple with their feelings and cope with the reality of a mother who has cancer. Some of us decided that a young child doesn’t need to know, or, we offer a simple explanation which we can come back to as our child grows and develops. Older children can choose to do their own research which poses the dilemma of how much to tell them. Younger children can be remarkably resilient, but many may find themselves bewildered and unable to articulate their feelings when mummy is poorly and can’t do all the things she used to do. 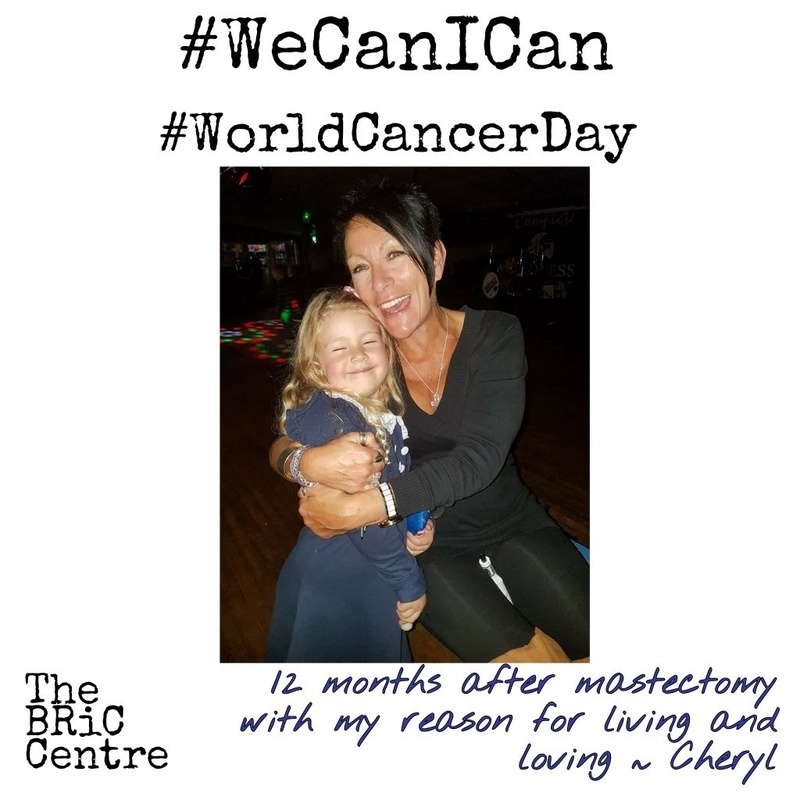 For some, a mum who loses her hair may be frightening; others appear to take it in their stride. Older children may be better at hiding their fears and this can be worrying for us, particularly if a child refuses to talk about it once they’ve learned about their mother’s diagnosis. 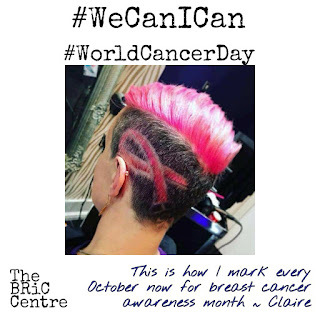 Hair loss can be embarrassing and the reactions of peers can be an added pressure. If we can, crying together can be a release, with many sharing that this had helped their children to dust themselves down and carry on. Many children do cope well and adult children can become a rock of support, but others pull away and withdraw. Many mothers reported trying to keep the worst of their pain away from their children once they’ve told them for fear of upsetting them or making them anxious. Some of us thought our children appeared to be coping well on the surface, perhaps keeping their feelings hidden. Others might express their feelings through challenging behaviour - either at home, or perhaps at school. Effects can be long-lasting, or ebb and flow, triggered by transitions, news items or bereavement. Many schools, we heard, offer support, some in the form of counselling, and some women found it helpful to let teachers know of their diagnosis. There is a selection of age appropriate literature available to help us and many women used these materials to supplement their conversations. 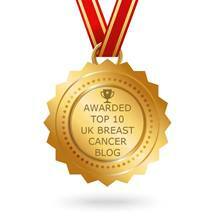 These publications also help us to communicate that we are not alone, that breast cancer is happening to lots of women. Humour can be helpful at times too as can joining in fundraising. Asking close family friends, aunts and uncles to keep a special eye out for children and to be confidantes if they needed a shoulder or a listening ear can also be supportive. Guilt and depression are common emotions. We want to be careful not to pass this on to our children. We feel it is somehow our fault that we got cancer and we are to blame for causing anxiety in our children and potentially leaving them too soon. It can feel unbearable to contemplate our child's future without our presence and care. 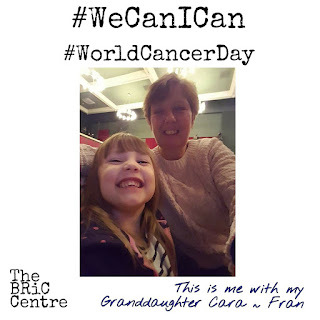 Some had wondered whether it would be better if cancer took us quickly, while our children are too young for it to register and without a long drawn out period of illness. But this, we realised, was the voice of our depression. We all want to see our children grow up, to guide, support and love them. We all want to our children achieve major milestones. 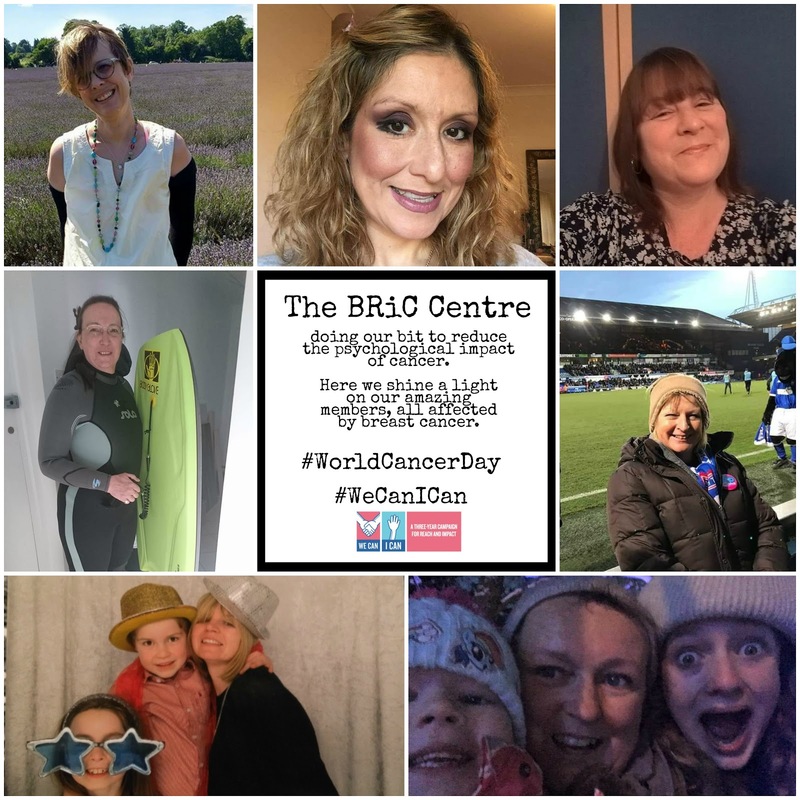 Our weekly discussion focused on the different ways we cope following our diagnosis with primary and secondary breast cancer, as well as recurrence, and how we get practical information and emotional support. This, we found, can be context dependent, although many of us had now reached a point where mostly, we preferred to know, so as to prepare and protect ourselves, irrespective of the amount of control we have over the outcome. Not knowing can be helpful too though. 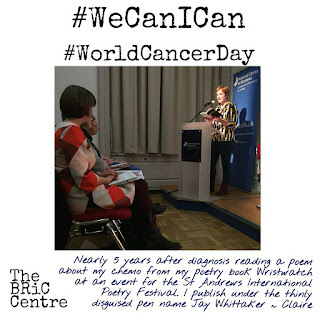 Some of us, especially at the point of our diagnosis with primary breast cancer, described feeling shocked and numb, and having chosen (or not felt able to make 'a choice') to rely totally on the knowledge and wisdom of our treating teams. It's only as these intense feelings subside, that we begin to open our eyes fully and see this new country we find ourselves in. 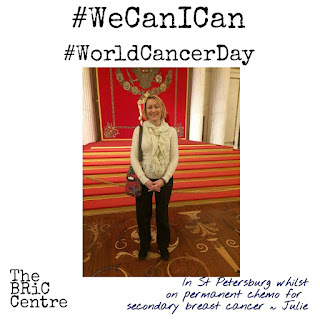 Women with secondary breast cancer described the empowerment that came from being able to reach out using social media to get instant information from other women, based on personal experience of treatment possibilities when they had been diagnosed with progression. This was especially important given the complexity of treatment options and how finely balanced decisions can be, which meant that they themselves can have an important contribution to decision-making. Likewise, finding out about side-effects that aren't always mentioned by clinicians. Those of us who had experience of recurrence also found that in the midst of the fear and isolation we feel, peer support, the knowledge that we are not alone and that others have also walked this path offers hope in the darkness. 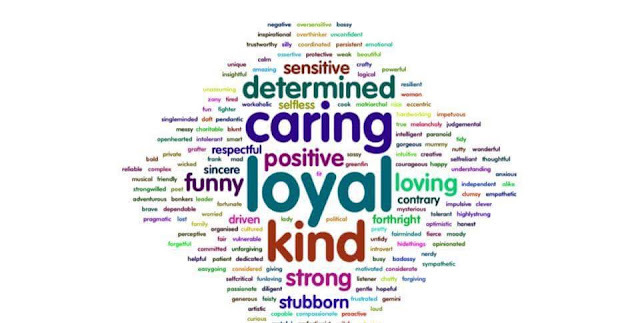 Naz explained, from a neurocognitive perspective, how emotional and social support and networks are so important - talking and writing, unconditionally and freely, helps us immensely because it frees up and boosts working memory capacity. Naz told us that working memory helps us regulate and manipulate information which then gets stored by our brains. It is what she calls the supervisory system in the brain: it helps us practice what needs attending to, and what needs ignoring. 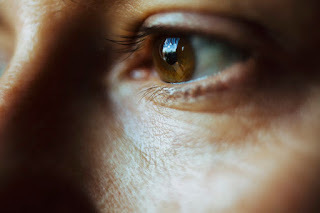 When we exercise working memory through writing, or talking, or simply listening to other people’s similar problems, we free up capacity in our brains that would otherwise be filled up with worry, anxiety, apprehension and fear. We become more emotionally stable and feel a bit relieved (like when we cry for example). Different stages of trauma require different practices of resilience. To allow ourselves to be ‘weak’, to cry, to vent, to confide, is actually an important cognitive and emotional step towards recovery. 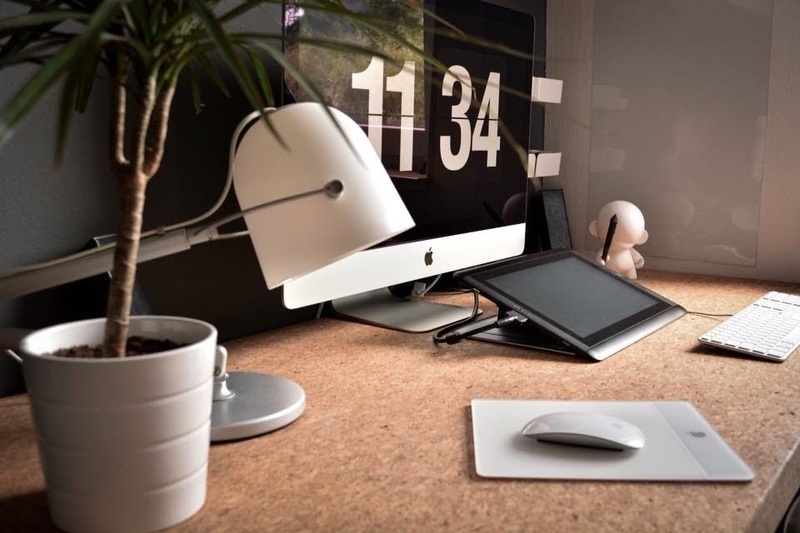 Doing the little things that can strengthen our physical well-being are important - going to a group, writing, talking, walking, mindfulness - all help us to cope with the emotional and psychological demands of the situation we find ourselves in. Though the impact of the knowledge is complex, it can be scary at times. Not knowing can also be helpful at times, but it’s a delicate balance, and requires us to be able to be flexible and adapt. "Modern medicine saved my life, but it also left my body broken. I am finally ready to move on, and I take my cancer forward into the future". 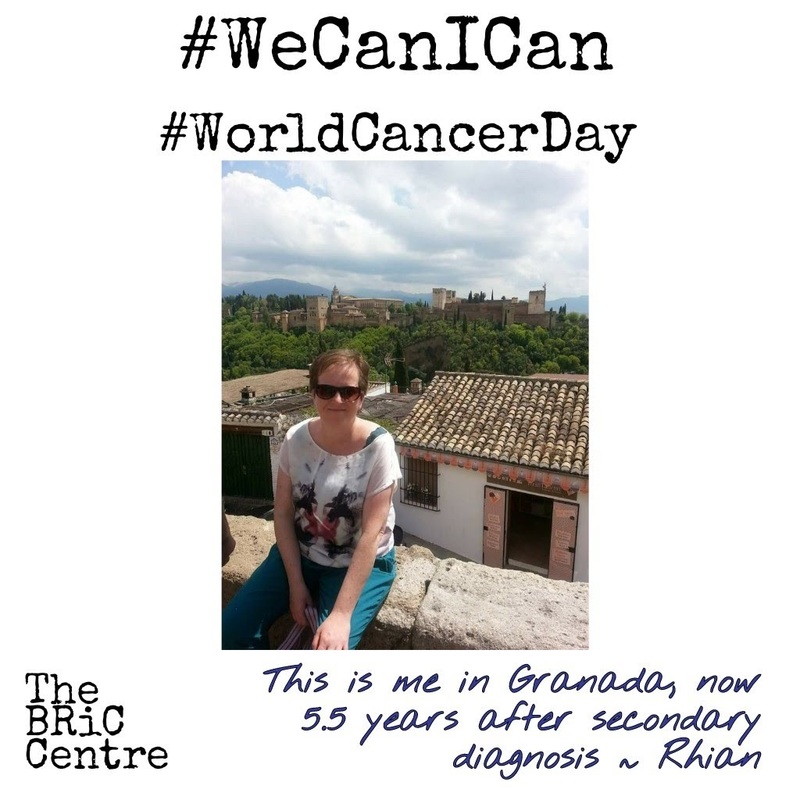 We are pleased to share this stunning account on HuffPost UK by our own Tamsin Sargeant, deputy head of BRiC, describing beautifully the uncertainty by which we live post cancer diagnosis, taking our cancer forward into the future. 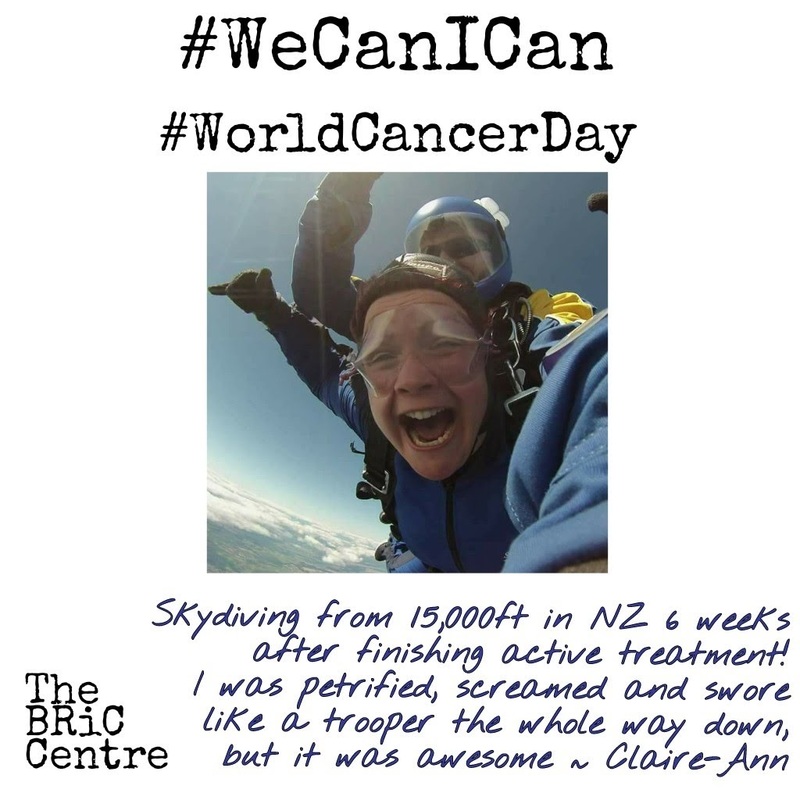 The 'miracle of science' has saved her life, twice, yet she feels like many that her psychological well-being is broken, hurt and abandoned. The 'cover story', the account by which we learn how to accept and adjust to our cancer related experiences, rarely captures fully the complexities and psychological roller coasters that we go through. We continue, nevertheless. 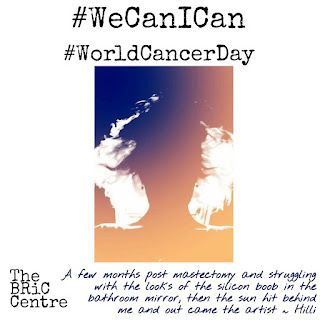 Today, February 4th, is World Cancer Day. 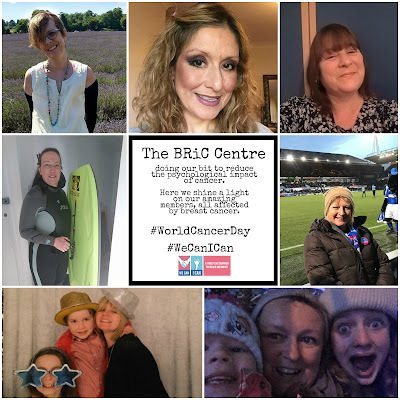 To mark World Cancer Day 2018 we are shining a light on the members of our private group, all amazing and extraordinary women who come together to support one another to reduce the impact that cancer has on us as individuals, our families and our communities. 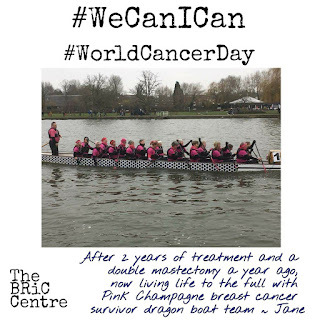 Just as cancer affects everyone in different ways, we all have the power to act in varied ways. 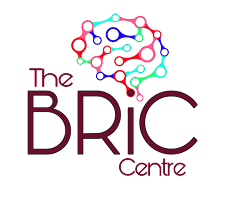 Here at the BRiC Centre, our focus on promoting psychological resilience forms part of a collective initiative highly relevant to the tagline ‘We can. I can,' chosen for World Cancer Day 2018 which sets out to explore how everyone – as a collective or as individuals – can do their part to reduce the global burden of cancer. 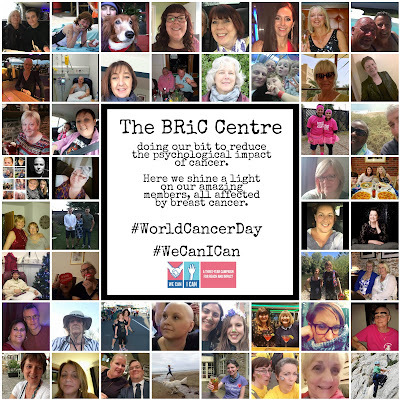 For World Cancer Day, we will be sharing a series of photo montages of us and our members celebrating the many and varied ways we practice our resilience. 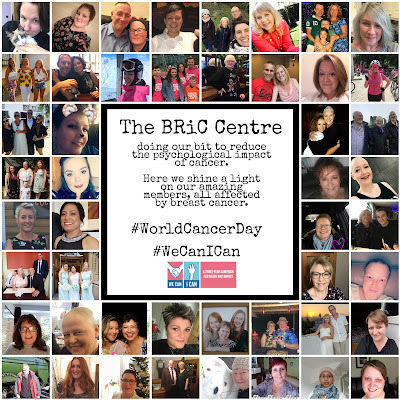 Bringing together women living with primary and secondary breast cancer, we will be highlighting the many ways we continue living with and beyond breast cancer, with individual photos of just a few of our incredible members alongside several montages of our thriving, diverse group. 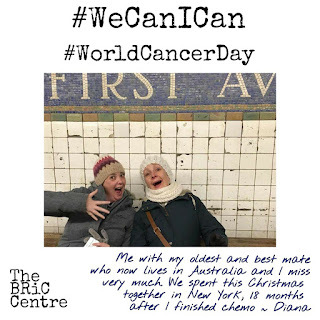 Our private, psycho-educational support provides a secure platform for us to engage in rich discussions on relevant research on the psychological impact of cancer diagnosis and treatment on cognitive health and emotional well-being in a guided manner. We aim to to pave a pathway of well-being towards resilience and cognitive flexibility, to promote adaptability, strength and courage. Our group is diverse and our members highly supportive of each other. 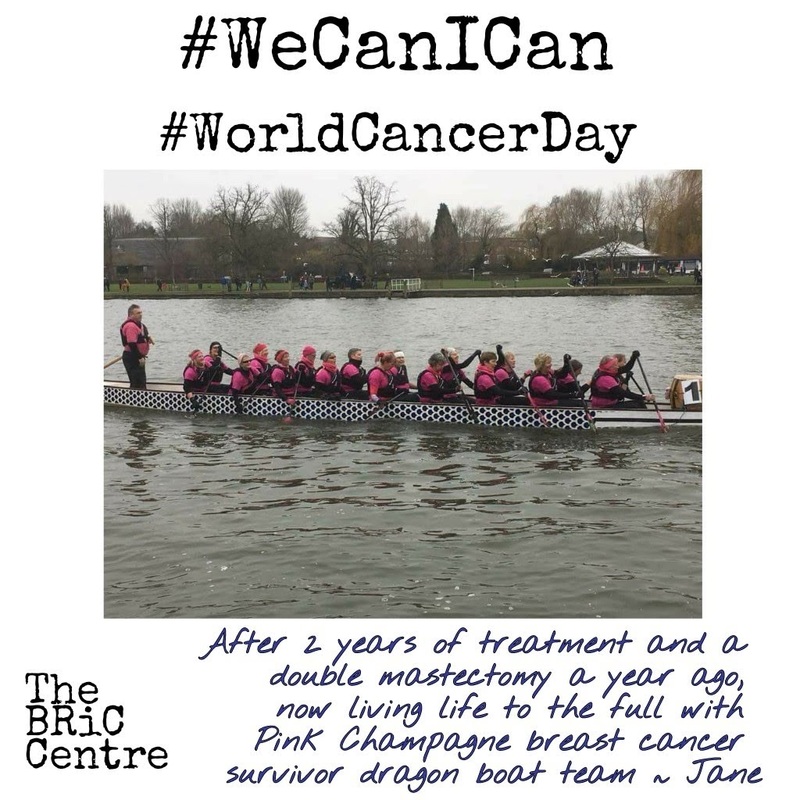 It is open to women of any age and at any stage in their treatment, including women with a primary diagnosis of breast cancer, women with secondary breast cancer and those who have finished their treatment. We also have a blog 'Panning for Gold', launched on World Cancer Day 2016, which provides an inclusive space representing the many voices of women with a breast cancer diagnosis. 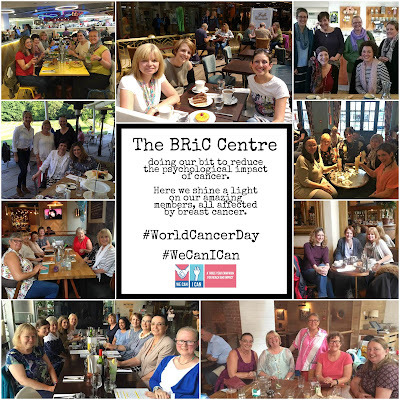 Some of our member meet-ups around the UK. 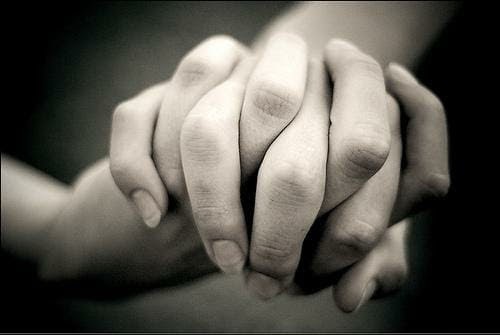 develop lasting friendships so it's lovely to actually meet face to face. More of our incredible members! We hope you've enjoyed our feature for World Cancer Day 2018. 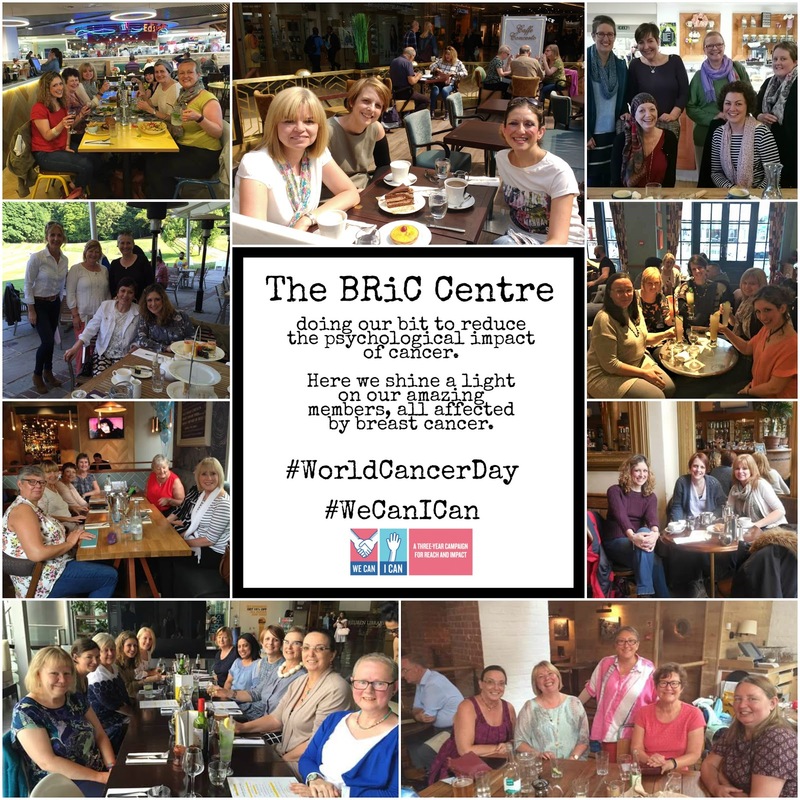 Naz, who is Head of the BRiC Centre, the centre's deputies, Vicky and Tamsin, our ambassadors, Anita, Caroline, Jenny and Jan make a difference each and every day through our collective and individual efforts to support women with primary and secondary breast cancer. 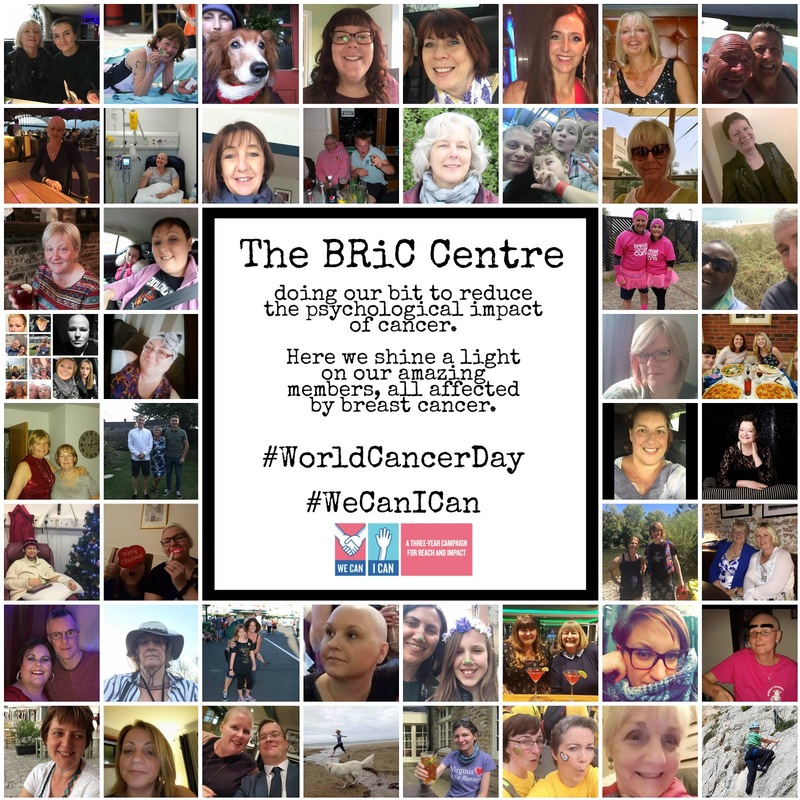 We can - by running our centre and our amazing group, by offering support, kindness and wisdom, by writing blogs, by considering relevant research, by sharing engaging articles, by having guided discussions and by providing a safe, kind environment for our members, fostering their resilience. Always, always, we go on. Slowly. Quietly. Never giving up. “You are what others see in you”. In our word cloud created by one of our amazing members below, are the words we used to describe ourselves as our best friend would characterise us, in our Sunday discussion last week. With suffering comes the beauty of appreciation. And nothing is more beautiful than practising seeing ourselves with compassion, determination and love. 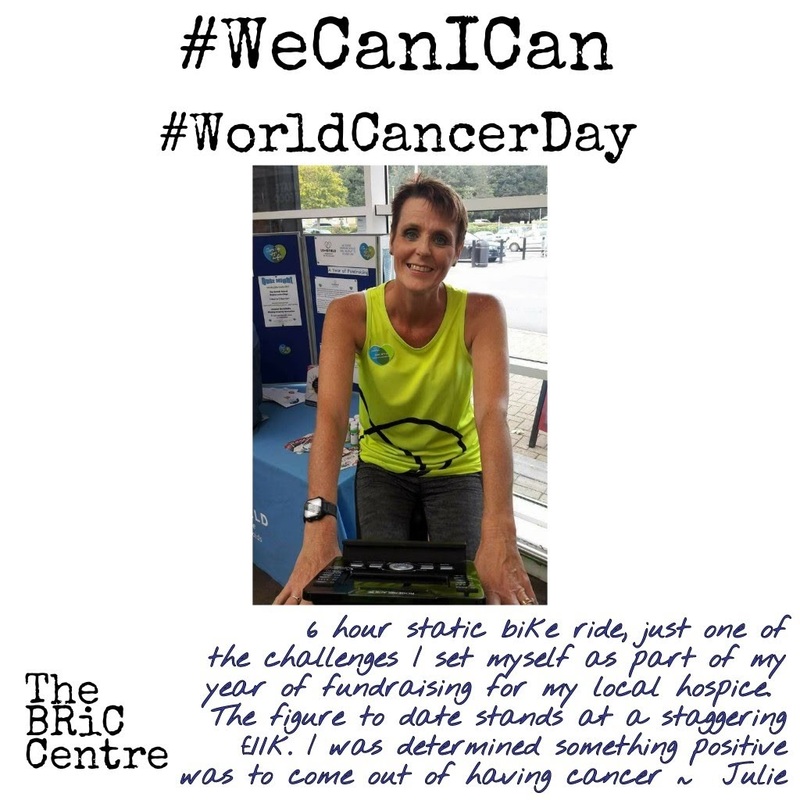 Our members show that the small steps they take towards resilience in every day life can help them take bigger strides towards love for life, bigger achievements and respect. They aim high: slowly, quietly never giving up. We are so proud of our members! Give them a huge cheer.